Self contained ground floor office accommodation located on Argyle Street within 1 mile of Newport City Centre, providing a number of large open plan areas together with a number of cellular offices / meeting rooms. A kitchen and male/female toilets are also provided, together with a storage room. On-street parking is available immediately outside the property. Excellent access to the M4 motorway and wider motorway network and with regular train services to London Paddington. Newport railway station and bus station are also within walking distance. This business centre offers a variety of spaces which can be leased as office space, ideal for therapy and beauty rooms. The work centre has seven spacious rooms spread across three floors and are all bright and airy rooms. The building has a shower room and also a functioning kitchen. The business centre is located in Newport City Centre and is surrounded by many great local amenities, the Newport Train Station is located just a short ten minute walk. Brand new flexible office suites located close to Newport Retail Park. All offices are carpeted, centrally heated and complete with Biometric finger print locks, CAT 2 low glare lighting and CAT 5 cabling with further facilities including a high tech conference room and luxury kitchen. The centre can supply used office equipment at no cost as well as secure self storage units. 2 miles from the M4 and a 5 minute drive from Newport city centre which boasts excellent road and transport links. New purpose built building located on the prestigious Langstone Business Park in an impressive setting with a stunning Japanese garden. 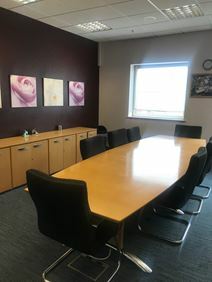 High quality and fully air conditioned modern offices with large reception area and personalised telephone answering and well as onsite parking available. Ideally located just off the M4 with Newport city centre just 5 minutes’ away, and Cardiff approximately 15 minutes’. On the prestigious Langstone Business Park this business centre is just five minutes from Newport City Centre while Cardiff can be reached in around 15 minutes. 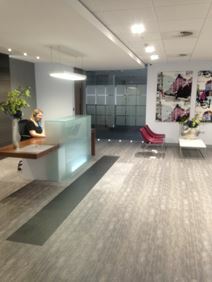 The modern contemporary office space has been newly refurbished with a high quality fit out while guests are greeted by a uniquely designed reception area and communal space. The space can be accessed 24-hours a day and there are places to eat and drink nearby. This work centre offers newly refurbished leased office space, ranging in size from 100 Sq Ft to 12,000 Sq Ft. The building has many great amenities, such as communal kitchen facilities, separate male and female toilets and also ample free car parking space. The work centre is located less than half a mile from the Rogerstone Train Station and situated 1.5 miles north of Junction 28 of the M4 Motorway.